Here is the Maker's Plate from RM445. New in August 1960, the vehicle had a 25 year run before being withdrawn in March 1985, then sold in August and subsequently scrapped. The plate was always situated above the luggage compartment by where the conductor stood. 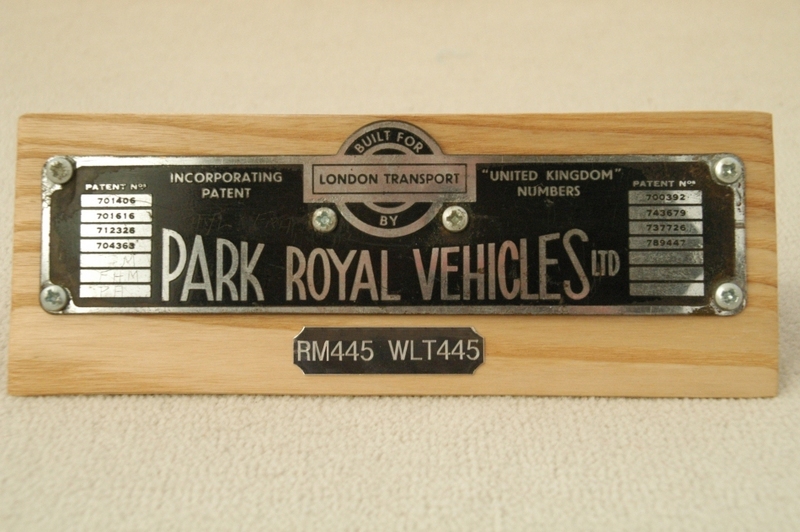 Mounted on ash (the popular timber at PRV for the frames of pre-Routemaster buses), I use this as a desk paperweight.